Donald F. Williams, 83, of Yorktown, passed away on Wednesday evening, September 19, 2018 at Yorktown Manor. Donald was born May 28, 1935 in Muncie, Indiana to the late Charles and Clarinda (Harbough) Williams. He was a 1953 graduate of Yorktown High School and went on to earn several degrees from Ball State University, Taylor University, and Cornell University. Donald was an antique dealer and restorer for many years. He had also worked as a teacher at the Bethel Home for Boys. He was a minister and had also worked as an auctioneer for Noah Mason Auctioneers and Puckett Auctioneers. 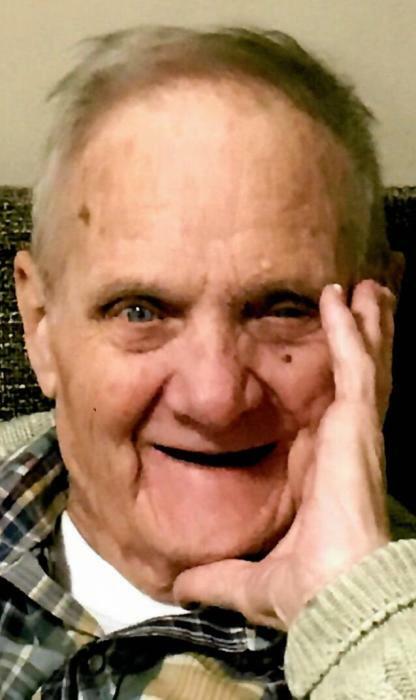 He had worked in maintenance at several places, including Union School Corporation, Wapahani Schools, Yorktown Manor, Bethel Pointe, and Westminster Village. Donald also worked for Marsh Supermarkets and was a supervisor at H&R Block. Donald was a member of the Yorktown Christian Church and a past member of the Yorktown United Methodist Church. He was a member of the Yorktown Odd Fellows. Donald was an avid reader and history buff. He was an artist who enjoyed woodworking, stained glass, and photography. Donald is survived by his loving wife of 12 years, Monta Rose (Morrow) Williams; two children, Natalie Ann Marsh (husband Keith) and Lois Ann Thomas; Three step-children, Kevin Richards (wife Denise), Christopher Richards (companion Kim Smith), and Timothy Richards (wife Lana); Two brothers, James Richard Williams (wife Rhonda) and Charles Frederick Williams (wife Susie); four grandchildren, Carolyn Bell (husband Matthew), Greg Marsh (fiancé Tamara White), Jeff Marsh, Tiffany Thomas (companion James Gordon); two great-grandchildren, Railynn and Dawn Roberts; and several step-grandchildren, step-great-grandchildren, nieces, and nephews. Donald was preceded in death by his first wife, Joyce Ann (Miller) Williams; a brother, Delbert “Bud” Williams; a sister, Bonnie Thornburg; and a great-grandson, Tommy Tom Thomas III. A funeral service to celebrate Donald’s life will be held at 1:00 P.M. Monday, September 24, 2018 at Gant Funeral Homes, Yorktown Chapel, 2215 S. Broadway St. in Yorktown, Indiana. Pastor Jeffrey Castetter will officiate. Burial will follow in Woodlawn-Springport Christian Cemetery. Friends and family may gather to share and remember from 11:00 A.M. until 1:00 P.M. Monday at Gant Funeral Homes, Yorktown Chapel. Donald’s family would like to thank the staff of Yorktown Manor for the excellent and loving care they gave to Donald. Memorial contributions may be given to the Yorktown Christian Church, PO Box 505, Yorktown, IN 47396. The Gant and Miller families are honored to celebrate Donald’s life with his family and community.